Ikegami has developed Medical Grade 4K Camera MKC-750UHD to be suitable for surgical video operations, Microscopes o Endoscopes. 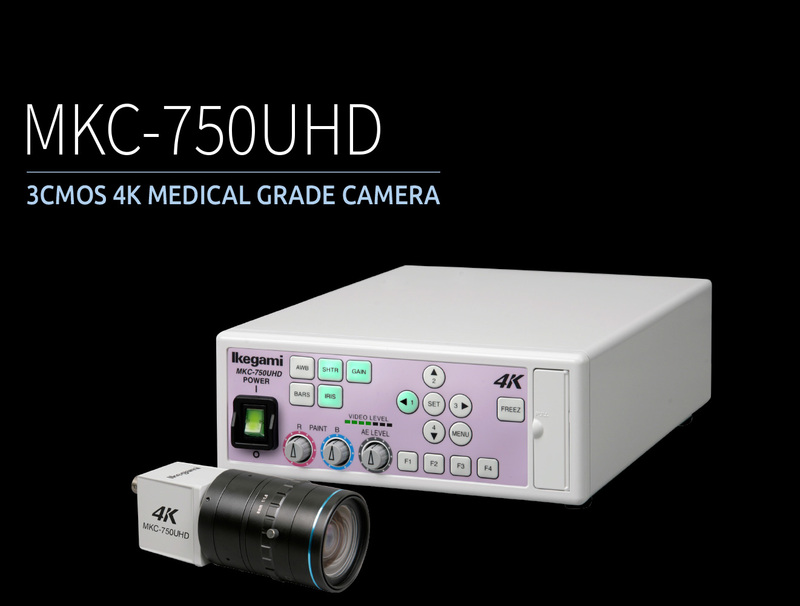 MKC-750UHD is the first developed medical 4K 3 sensors camera from Ikegami. With the latest 3-CMOS and Ultra HD resolution (3840x2160pixels), the MKC-750UHD gives the superb high picture quality. The camera will be avilable for OEM, the camera head, Camera Control Unit and Medical grade cable will be offered as per customer's requierd specifications. Employs a 1/3-inch 3 CMOS sensor ,Ultra HD resolution (3840x2160pixels) 4K. Progressive processing with newly developed digital engine delivering improved resolution in detail and dynamic resolution. Digital capture allows a captured image to be flipped horizontally and vertically. Remote controllable via an external optional unit such as a foot switch. Max. 4x zoom is available. Each correction/function setting (four positions) can be saved and loaded easily. Video level can be checked and adjusted using a level indicator. The camera-head and CCU (camera control unit) use an antibiotic to help to improve infection control.